Managing licenses can a complicated and time consuming task for IT teams. But as audits become more frequent and fines continue to skyrocket, finding a way to effective manage license agreements is a necessity. 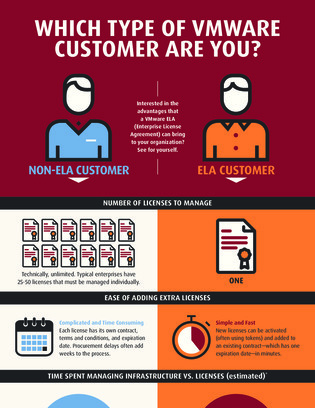 Discover how an Enterprise License Agreement (ELA) can help consolidate and streamline the license management, circumventing the common licensing pain points that many IT pros are faced with today – and can save hundreds of thousands of dollars in the process.